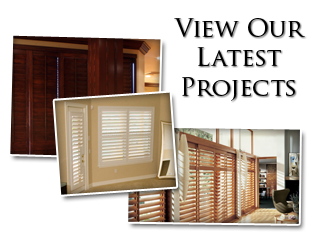 Read reviews of Sweet Shutters and Shades and testimonials from clients who have hired our shutter company for window treatments in the Charlotte area. "My husband and I are very happy with Sweet Shutters and Shades and with Diane. We had plantation shutters installed and we love them. She is easy to work with and has a very pleasant personality. She keeps you up on the progress and is very responsive to your needs. I would highly recommend Sweet Shutters and Shades and Diane for your window covering needs." "Sweet Shutters and Shades were great. They were very professional and kind. They are a small family business with great customer service and affordable blinds. They work in a timely manner, and I am supper satisfied. I highly recommend them to everyone and anyone looking for a great job." "My husband and I we referred to SS&S by our realtor after we moved into our new house. Diane came over with tons of samples, books, and ideas. Very mindful of what the customer wants, she provided me with all of my quotes in a timely manner. We are almost finished with the first project and are now looking into doing another one with her!" "I have been working with Diane Sweet to order and install custom blinds for my house which was built in 1959. The windows are many different sizes most of which are not standard so it was not possible to purchase off the shelf. Diane was easy to work with, incredibly responsive to calls and emails, and made suggestions I would not have thought about. I would recommend this company for their ethical practice, attention to detail, and fair pricing. Our windows look sweet and now have a new, updated look that we love." "Excellent service from start to finish! I highly recommend Sweet Shutters and Shades." 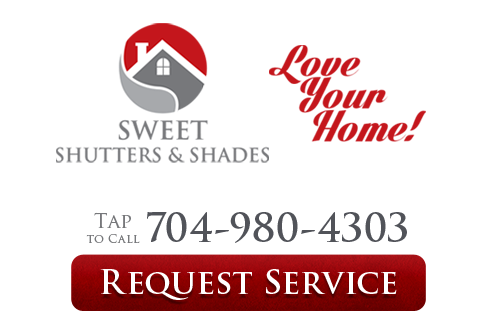 For more reviews of Charlotte shutter company, Sweet Shutters and Shades, please call 704-980-4303 or complete our online request form.